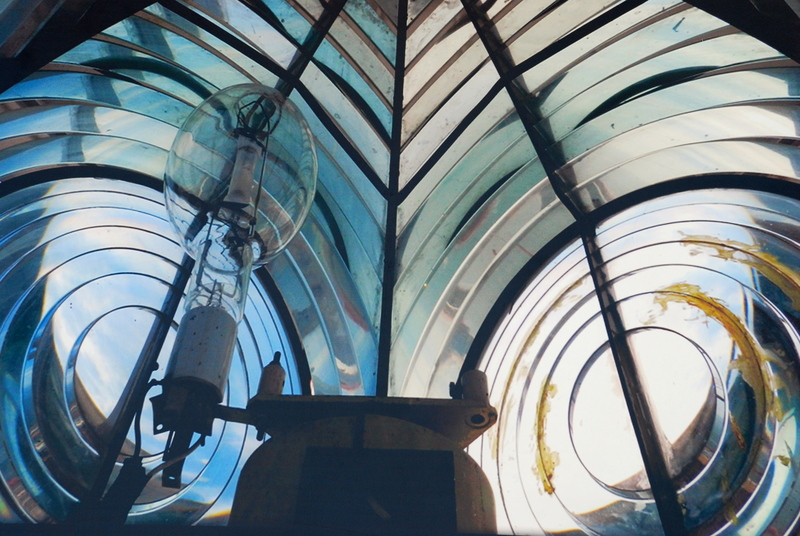 History of the Lighthouse in Photos | ¡VidaMaz! Do you love the lighthouse as much as I do? Love how the seasons change, different animals and plants are at their best every couple of weeks? Do you enjoy the view of the city from up there—sometimes so clear, other times gorgeously hazy, and sometimes socked in with fog? Do you love the people who hike up, and the exercise and fresh air it provides? This morning was a wonderful event up top of the lighthouse. The Movimiento Ciudadano Rescate al Faro group, to which I’ve belonged for a couple of years, opened a special photo exhibit. I knew about it because Irving Fregoso, the group’s organizer, asked me five or six weeks ago to translate the Spanish into English, so that the exhibit could be bilingual. It seems there was no money for the exhibition; all had to be volunteer. In addition to the historic photos, there were gorgeous photos of animals and plants donated by our own Alwin van der Heiden. It is a beautifully simple exhibit, and if you are at all interested in the history of Mazatlán or our beloved faro, you definitely should hike up and check it out. Great to know when the port was officially opened, the various stages of the lighthouse, and the old photos of the Lens are spectacular! The exhibit is along the wall of the lighthouse building, under the awning. A few photos of it are in the slideshow below, to whet your appetite and motivate you to go see the exhibit. Prior to the ribbon cutting for the exhibit, there were dozens of young people, including students from CONALEP, cleaning up trash. Members of the Asociación de Guias, the city’s official tourist guides, were also in attendance. They were along the ocean front, on the path, and all over the top of the hill. They picked up trash, they painted over graffiti, and they made the place look great. The Rescatemos al Faro group has organized several cleanups now, but this is the most well-attended event I’ve seen. I am glad to see it growing in popularity and support. Thank you all immensely! Such cleanups are a never-ending job and we are grateful to you! The ribbon-cutting that opened the photo exhibit was attended by several dignitaries: a young representative of the Governor’s Office, a representative from the port authority/API, the wife of the Secretary of Tourism, a representative of the Mayor’s Office, and our Diputado and probably soon-to-be mayor, Carlos Felton. It was great to see them there; we need political support to improve our Faro recreation area. So, what was the really great part of the ceremony? 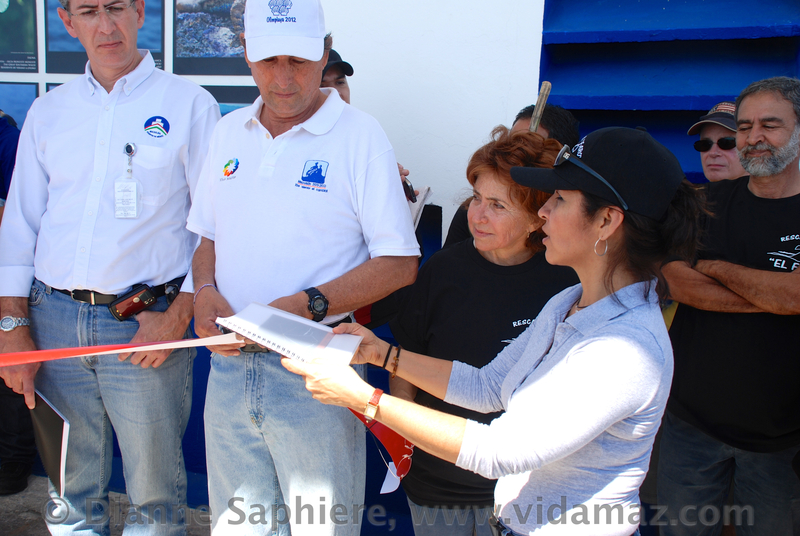 Davíd Escobar, the architect, and the Rescate al Faro team presented an official proposal to all those officials! Hooray! They took advantage of the visionary words being uttered in those speeches this morning, and came through with a concrete plan of action. Fingers crossed! The really gorgeous morning for me was couched, however, in a mini-culture-shock. Not that it’s surprising or unusual, but it’s a side of my México lindo y querido that I just don’t like. Here were all these volunteers—kids and adults, spending hours cleaning up an area that we all enjoy. Here was the volunteer group, Rescate al Faro, which has done so much for a couple of years now to raise awareness of the importance of this recreational area in our community. And, somewhere around but no where to be seen, was Irving, a young worker in the Secretaría de Turísmo, who seemingly organized all of this. He told me later he was busy tying up trash bags at the bottom of the hill during the ceremony, and couldn’t make it up in time to see it. So, the scene is one of lots of very passionate volunteers, making a difference in their community. During the speeches that preceded the ribbon cutting, the dignitaries talked and talked, sharing their vision, but no one really thanked the citizen volunteers in attendance! I know there is a Mexican dignity in not expecting acknowledgement, but it was hard for me to watch it not extended. Irving, who got this whole effort going, organized the event this morning, and then didn’t even get to see its grand opening, was not acknowledged. No one mentioned the historian who put the exhibit together, or the photographers whose works were represented. I did count four times that official remarks mentioned the difficulty of the climb. A member of the Rescate al Faro group had to interrupt the proceedings in order to be able to present their proposal, even though they’d made this all happen. Today was the Governor’s Office debut of their Agente de Cambio campaign, yet it glorified the sponsors and the politicians rather than the doers—rather than the on-the-ground agents of change. 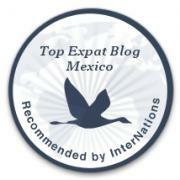 Come on, Mazatlán, we can show more appreciation than this! We are all in this together! Maybe today might serve to get some of these dignitaries more engaged in the El Faro effort; that would be fantastic. I did witness Carlos’ joy as he was able to run down in seven minutes. Ok, gringa rant finished for now. I get it’s a cultural difference. And I get that politicians everywhere are, well, politicians. None of the usual daily lighthouse climbers were at the event this morning. Greg and I really missed seeing our cohorts. Next time perhaps the group should post signs announcing such an exhibition or event, so that the “regulars” plan to attend. 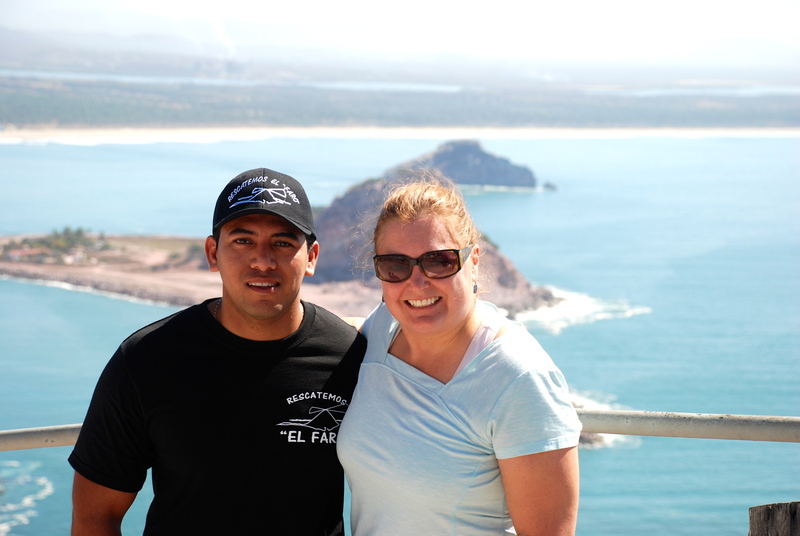 We asked Carlos, the lighthouse keeper, about it a couple of times, and he had no idea it was about to happen. It was an absolutely beautiful clear morning here. The views were spectacular. Our citizens showed up in droves to clean public areas. We have a gorgeous historical photo exhibit, done for free and open to the public for free. All in all, wonderful for Mazatlán. Be sure to hike up and take a look! Final slide show of the view, below. 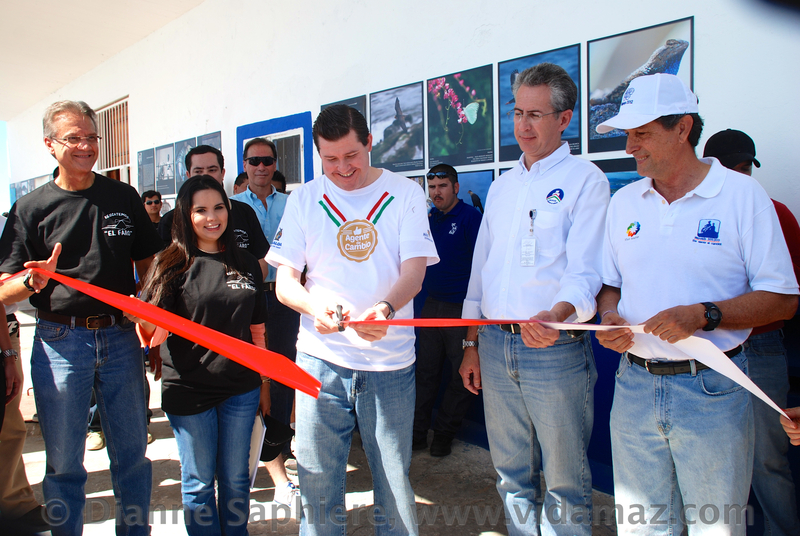 Link to a story on this event in the Noroeste. How fantastic. Wish I had of known about this. A big “Thanks” to all the volunteers and to you for letting us know about this project. Good to hear from you, Murray. I announced the event a couple of times on my Facebook wall, but things do tend to get buried there. The photo exhibit will be up for a while, so definitely stop by to see it. Thanks for sharing this. The rant is valid and I bet most of the volunteers would do it again in spite of the over sight. Exactly, Tom. I believe most of them would be there again in a heartbeat. So glad to see more people showing up each time for the cleaning. Would be nice to see a few members of the foreign community join in. Thanks for your comment! I hope you’ll visit the show. Thanks for sharing, I could not be there, due job appoinment. I have to say that I love El Faro maybe as much as you do, I guess! but they remain Honoring their city with their presence and way of being. Politicians come and go, we the people remain in our city and with our family. We the people should remain Proud and in intigrity with what we do! Asociación de Guías de turistas who I do not see in the pictures either. Chuy, we would have loved to have seen you there. Yes, the Guías were also there. I spoke for quite a while with a guy named Miguel, and he seemed to know all the animals, plants and history. Obviously a licensed guide is the way to go! I now linked to the article on the event in the newspaper. Everyone can see the photos and see for themselves. I am so appreciative to the Amigos del Faro group and to Irving. We are blessed with such a capable and passionate young man in our community. Dejemos Huella! Pingback: Toma de Protesta/Our New Mayor | ¡VidaMaz!